Peel all fruits and mix together with a mixer. 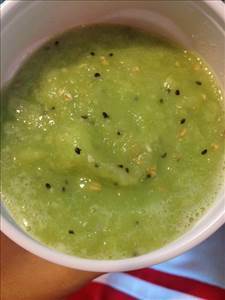 There are 220 calories in 1 serving of Apple Kiwi Pear Celery Smoothie. Calorie Breakdown: 3% fat, 93% carbs, 3% prot.